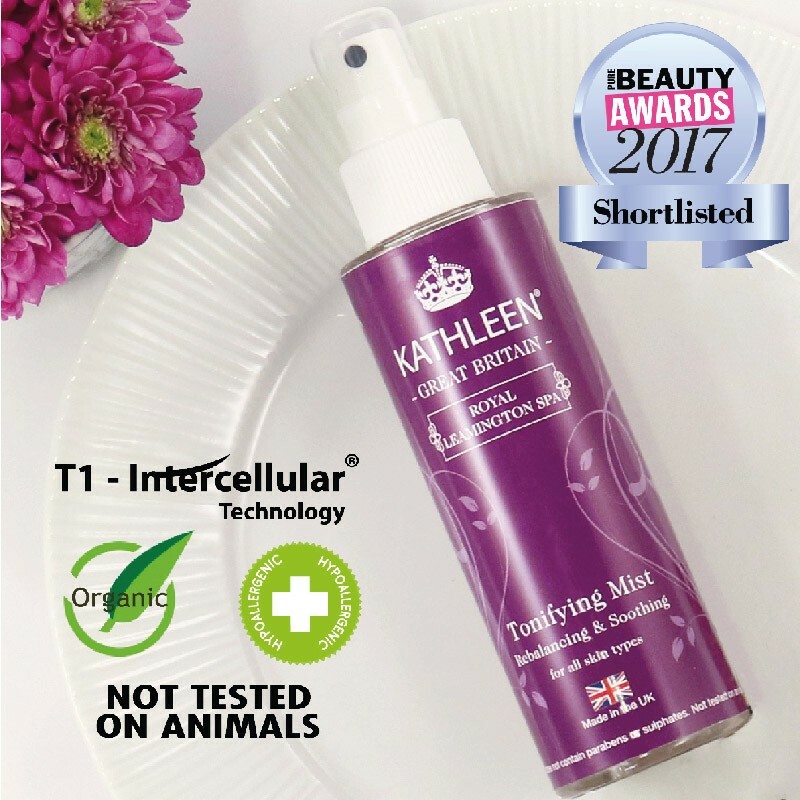 This light scented and alcohol-free Kathleen Tonifying Mist is ideal for all skin types, even extra sensitive skin, to revitalize and soothe your skin. This exclusive gentle and botanical formula of aloe vera, glycerin, chamomile and lemon extracts helps to moisturize dry skin and heal and soothe skin irritation, leaving skin more tone, less redness and radiant appearance. Apply day and night after using Kathleen Cleansing Lotion. Hold the Tonifying Mist 5 to 6 inches away and close your eyes, then spritz over the face and neck to adding an extra layer of moisture and protection. Alternatively, spray onto a cotton wool pad and sweep over face and neck. You can also spray it throughout the day to refresh makeup, after waxing or exfoliation for soothing benefits. Always cleanse hands before applying any products in order to prevent germs, bacteria, dirt or other contaminating substances from being transferred from your fingers. If you are an individual with sensitive skin, we recommend applying a small amount of the product to the inside of wrist or elbow area and leaving on for several hours as a "patch test". This process will help you to assess whether this product is compatible with your skin type before you apply it to your face or eye area. For external use only. Keep out of reach of children. Avoid contact with eyes. Discontinue use if skin irritation occurs. Consult your physician if prolonged irritation ensues after removing product from affected area. 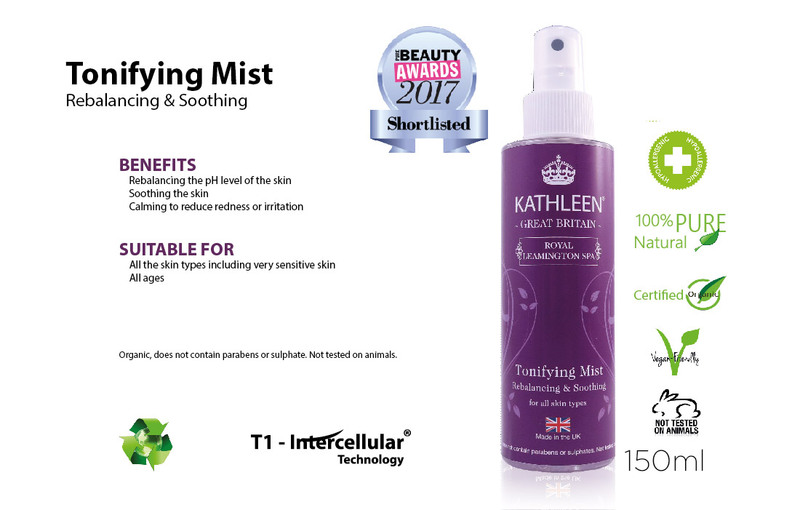 The Tonifying Mist finishes off your cleansing routine by revitalising and soothing your skin. Spritz it all over your face for an instant refresh – it’ll also add a little bit of moisture into your skin as well as evening out any redness. … if you’re feeling a bit tired, a little spritz can wake you up and add a small dose of instant hydration into your skin. It has been used for skin care since the ancient Egyptians called it the “plant of immortality”. Aloe vera acts as a protective layer on the skin and helps replenish its moisture without giving it a greasy feel. Giberellin in aloe vera stimulating the growth of new cells and allows the skin to heal quickly and naturally with minimal scarring. It’s the most environmental friendly solution for skin care, protecting the skin and keeping moisture and elasticity. It is non-irritating, soothing and is heralded for its ability to moisturize dry and cracked skin. A historical herb to heal and soothe skin irritation. Its healing properties are due to the bisabolol, bisabolol oxides A and B as well as favonoids. Rich in vitamin C and naturally balance the pH level of our skin. This is SO good, will reduce your pores pretty much instantly. Love the smell..